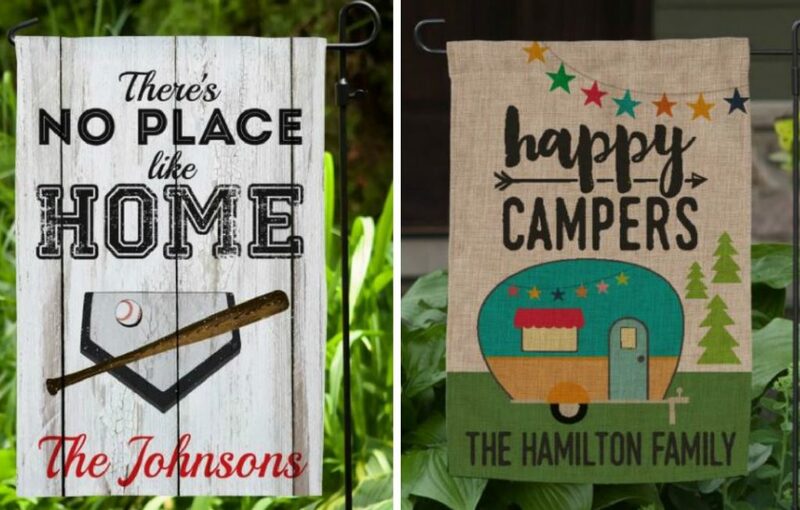 These Personalized Garden Flags are on sale for $9.99 (Retail $19.99). Just in time for the approaching warm weather: personalized garden flags! Our fun flags are perfect for your front yard, firepit, garden, or even classroom! Garden flag stand is not included. Personalize each flag with one line of text, up to 18 characters. The entire line is personalized, meaning words like “the” and “family” will not automatically appear. All other text will appear as shown.